Knotwood Oil Finish works wonders on virtually all types of composite decking. Simple to use. 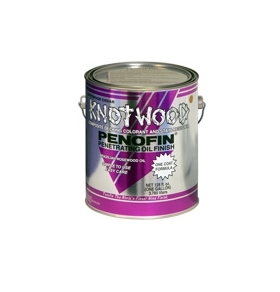 Knotwood deck finish is applied with only one application…It's that easy! Knotwood deck finish resists most stains, a problem for all types of composite decking. Simply wipe up spills with a damp cloth. It's the perfect way to protect and beautify composite wood.